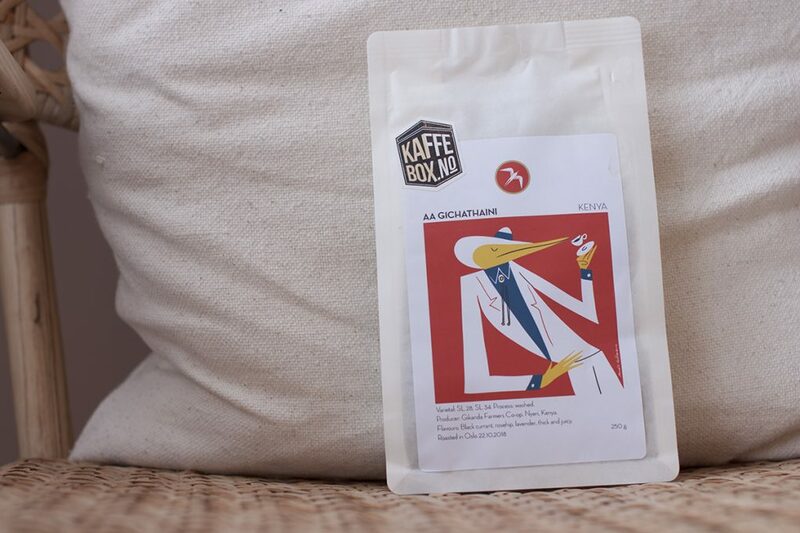 Part 2 for KaffeBox November 18 Box, in this post I’ll only write about the Kenyan coffee AA Gichathaini from the coffee roastery Fuglen Coffee Roasters. In Wednesday’s post, you’ve been able to read about the coffee and also what I expect from the coffee. In this part, I’ll share my recipe for an awesome pour-over and Espro travel press as usual. I was looking to find the notes described at the bag “Blackcurrant, rosehip, lavender, thick and juicy”. There were some difficulties finding the notes mentioned by the coffee roastery. The coffee is a bit too dark for me if you’re gonna find these elements. This tastes like the bitterness found in cacao with a rich thickness. “Fuglen Coffee Roasters are from Norway, Oslo, they’re from 2018 and has left me with a great impression. The art on the bag is brilliant, I love it. It’s so cool and pointy. I like it! I would also like to know how good this coffee would be with “fika”. I tried it with dark chocolate with sea salt. Today wasn’t as good as the Colombian coffee. Cacao with a rich body. Altitude: 1 700 – 1 900 masl. 1) Pour 60g water for blooming for 30 seconds. 2) 30 seconds in, begin pouring 110g of water slowly. 3) 1 minute and 35 seconds in, begin your third pour of 110g of water. 4) Stop the dripper at 3 minutes. I think that I expected a more lightly roasted coffee than what I actually got. It’s not bad, but it wasn’t great either. When you roast a Kenyan coffee more than a light roast, it will be very thick which can be too powerful. If you have an Espro and a Pour-Over… What should you choose to brew with? Do you want a more balanced cup, go with the Espro, you also get a great result every time as it’s impossible to make mistakes. I think that using an Espro will deliver great results enough, it might be because the coffee isn’t as floral and acidic as a great Kenyan coffee. The chocolate I ate was dark chocolate with sea salt.